Revelers in New Orleans aren't the only ones known to toss back a few. Meet the animals for whom it's a Mardi Gras party year-round. 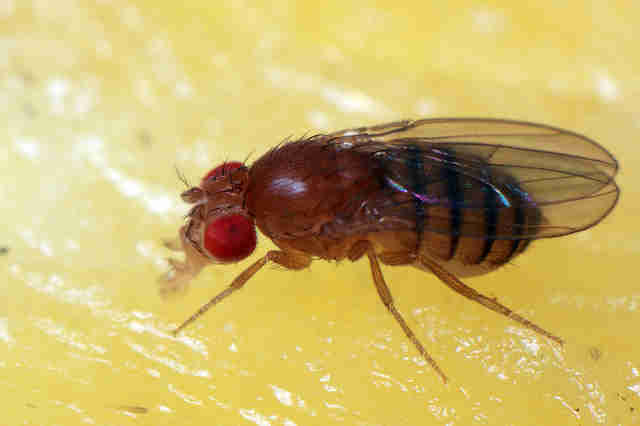 Fruit flies utilize alcohol in multiple ways. Pregnant females place their eggs in the alcohol of fermenting fruit to protect them from wasps, who can't tolerate alcohol. Alcohol can also serve as a life-saving measure during a wasp attack. Wasps often lay eggs inside fruit flies, and by consuming alcohol the fly is ensuring that any potential wasp eggs are eradicated from its body - thus saving his own life! Additionally, male fruit flies who have been rejected by a female are more likely to consume alcohol than fruit fly males who mate successfully - a practice common in, ahem, other species as well. Vervet monkeys consume fermented sugarcane that has fallen to the forest floor, but on the Caribbean Island of St. Kitts, these little guys often swing by beach bars and pilfer cocktails to satisfy their cravings. 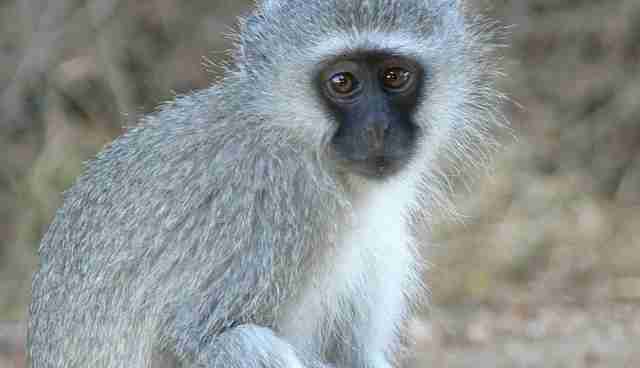 Like humans, vervet monkeys can be classified into different groups of drinkers: Most are social drinkers and only imbibe in the company of other monkeys, while others are considered regular or binge drinkers and are more likely to get in alcohol-related fights with other monkeys, the Guardian reports. But it's not all fun and games: Binge drinkers also face more serious consequences, like injury or death. 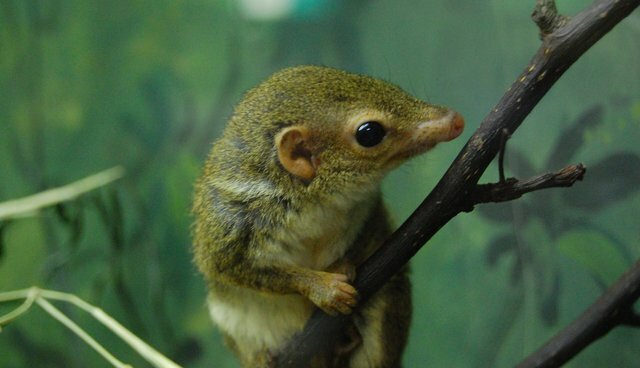 The pen-tailed tree shrew is the first nonhuman mammal to exhibit alcoholic tendencies. Shrews feast on bertam palm flowers, which are just as strong as some beers at 3.8 percent alcohol by volume. 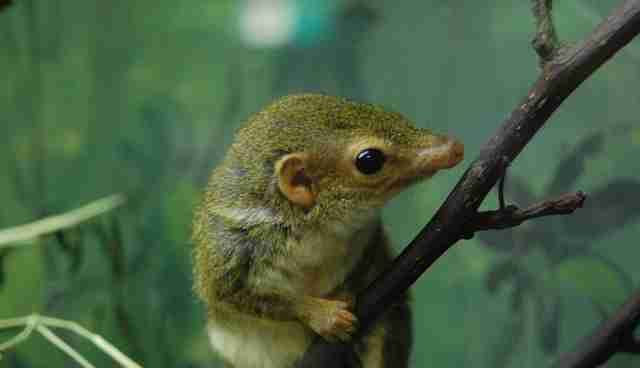 The pen-tailed tree shrew spends roughly two hours every night guzzling nectar from these flowers. The amount of alcohol that the shrew consumes relative to his body weight would be harmful for many creatures including humans, but the shrew can metabolize alcohol very efficiently without even getting drunk. You may picture squirrels living on a meager diet of acorns and bird seeds, but those are basically bar snacks for the plantain squirrel. This little guy consumes fermented nectar throughout the day, and often goes back for seconds (and thirds and fourths!) at night. 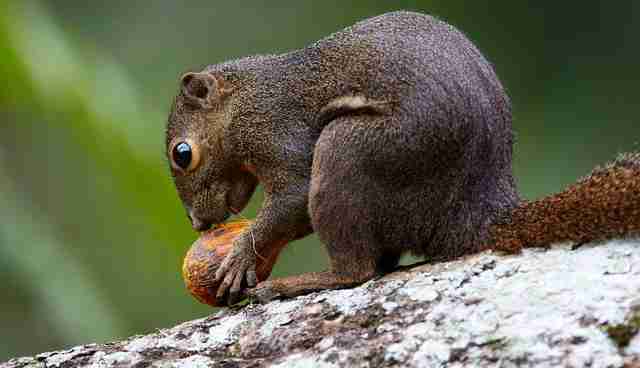 These alcohol-loving squirrels can be found in Thailand, Borneo and Lombok. Like the pen-tailed tree shrew, the slow loris also feeds from the bertam palm without exhibiting any obvious signs of intoxication. This venomous primate drinks regularly throughout the day and ups his alcohol intake at night. 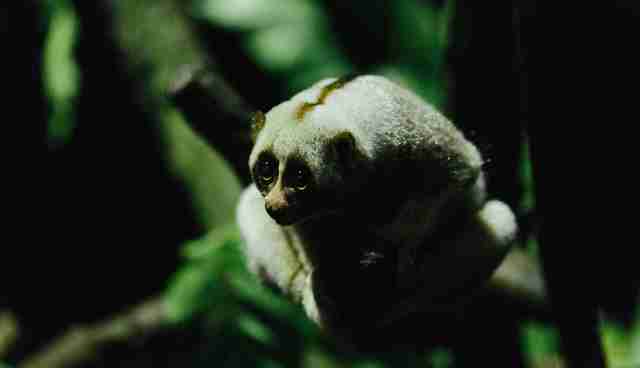 As animal psychologist Frank Wiens tells the BBC, the slow loris can have as many as nine drinks in one evening. 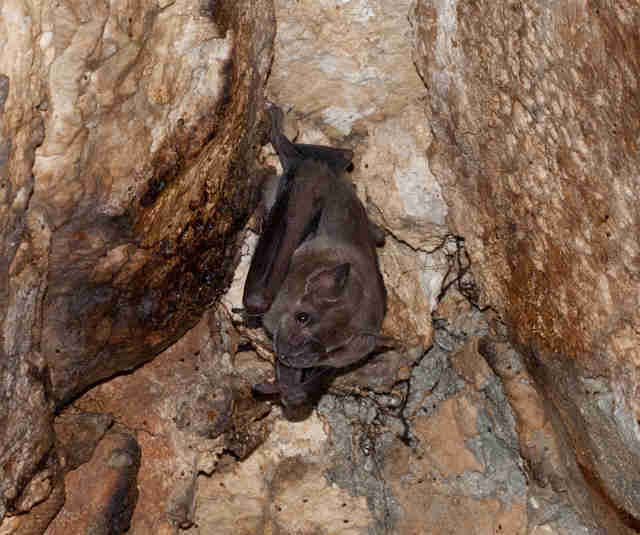 The Jamaican bat, much like other bat species, consumes fermenting fruit and nectar containing high levels of ethanol. Despite ingesting large amounts of alcohol, bats are able to maneuver themselves effectively while flying. Bats also remain successful in carrying out echolocation behaviors - i.e., emitting high-frequency bat calls - despite having overindulged. It's like they're drunk dialing but without the embarrassment. 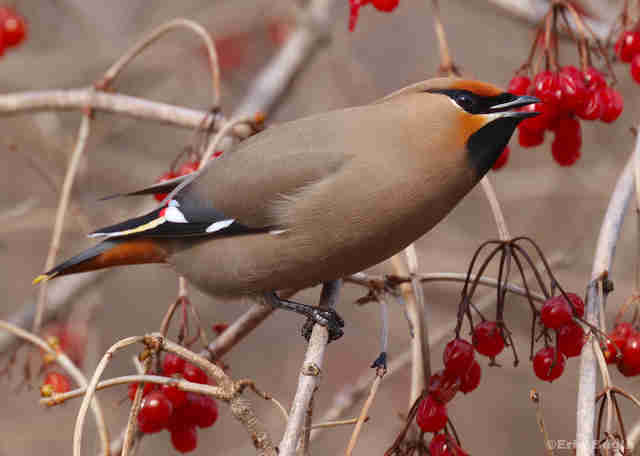 Found in Canada's Yukon Territory, bohemian waxwing birds feast on mountain ash berries and other food items before the winter season. And, much like humans, drunk waxwing birds might find themselves crashing into things after a bender - so much so that Environment Yukon established a "drunk tank" of sorts, a safe place where birds who overindulged can sleep it off. Talk about getting buzzed! 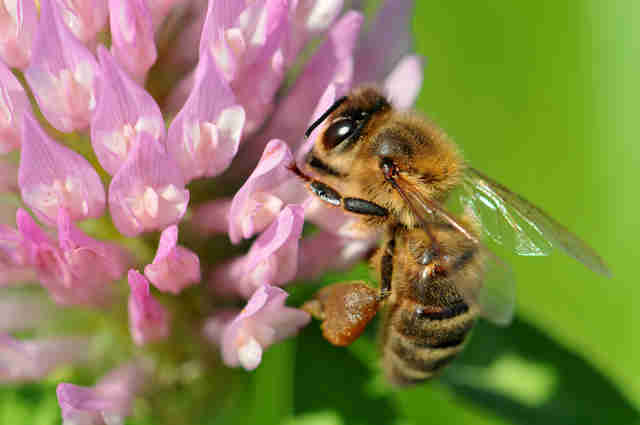 Bees often drink fermented nectar from flowers, leading to trouble with flying and walking. There are also social consequences for the inebriated insects: Drunk bees are shunned from the hive. As entomologist Errol Hassan tells the Guardian, alcohol is toxic to larva developing in the colony, so it's probably for the best.